This thread contains a master list of the bugs reported and confirmed in the current (0.551) version of The Dwarf Holds. Please consult this list (updated by me) before posting a new bug. Note: to report map bugs go here! Last updated April 19th 2010. -Forged Blade upgrade damage notation is absent or inaccurate for some units. Edited by Nertea, 01 May 2010 - 08:51 PM. Building an entmoot, builds a farm instead. 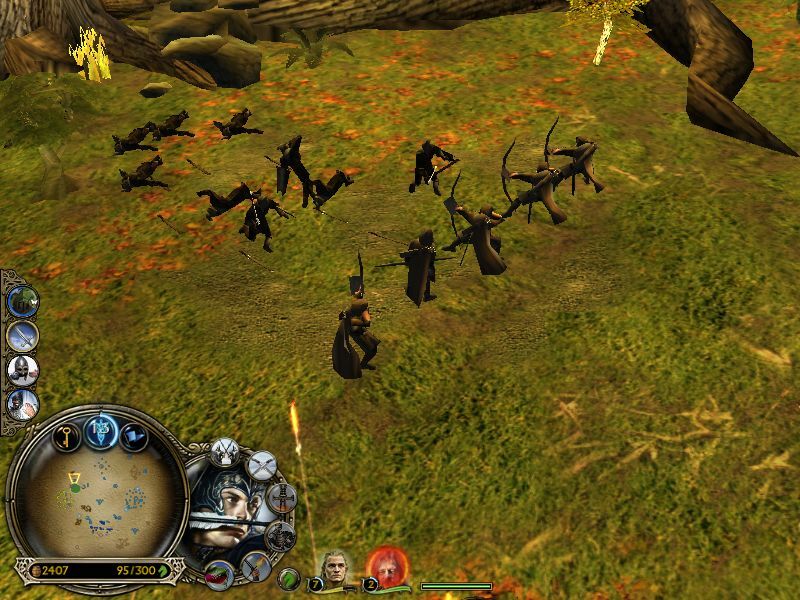 Summoned elven archers have a flicker in their sword fighting animation. At the end of swinging they appear to draw their bow. Legolas still has pink arrows. I think theres a sound bug for rohan: I got an "we've improved the smithy" audio when a building auto leveled up. I know for a fact I had not built an armory. so could be farm or stables. I have heard that this Entmoot bug is a vanilla thing that shows up sometimes? I'm not succeeding in reproducing it. What map was this? So this isn't happening with normally built Galadhrim? Just finished searching every single file for references to that sound cue, and there seems to be no reason for this to happen. And have never seen this before. The only thing that could have escaped the search was if that same file exists as a copy with a different name. So yeah, keep watching... can't do anything now. At any rate, am including a fix for the invisible Gondor Soldiers and the Ranger fire arrows in 0.551 which should get released in a few hours. Edited by Nertea, 19 April 2010 - 03:55 AM. One of Elfhelm's abilities has an incomplete string. Do I get to know which one? Edited by Nertea, 19 April 2010 - 05:31 AM. The entmoot issue occurred on khand. I managed to do it back to back on the same plot. Wasn't happy spending 10000 on farms lol. I didn't check on the buildable eleven warriors. The sound bug I'll keep looking to reproduce it, I wonder if it was a case of an allied building leveling up and I could still hear the audio associated with it. I've seen the entmoot thing happen for years. It's either a vanilla thing, or something that only happens in mods or player-made maps for some reason (though all maps are in the official list). Some of the following aren't really bugs, but still they should be fixed. - Dunno if that's on purpose, but the new ability of Crossbow units also knocks back heroes. It's quite unfair imo. - Concerning this one, I'm not sure if it's just me, but sometimes I get the feeling that the AI mostly ignores some units, namely the new ones (Scouts, Royal Guards) and also doesn't build them. And there is another issue with the Isengard Uruks. I will try to be as accurate as I can. It just happens after they hit an enemy unit, after the blow they kinda freeze for 1-2 seconds, and then just go on as usual. Just keep attention when you let them attack and after their strike they will freeze for a moment. If I'm not mistaken the attack rate of the Uruks becomes faster after they get the forged blade upgrade. As a consequence their attack animation won't play out, as the attack duration is too short for the anim of the Uruk-hai. Now that was hard to explain, I hope that you will understand this. Mmm, so confirmed that all elven warriors have their sword animations completely screwed, and I have no idea why. They seem to do them right sometimes, other times they start their attack, then reset about 1/3 of the way through. Like most units, Guard Area and the like (stop, attack move) are in the palantir, you just need to use the hotkey to access it. This is how EA handled 95% of "normal" units. I thought I'd keep it their way. I'll up the chance for heroes to resist it. Will look into the attack thing, but I suspect it's just that the animations are screwed up. Some of the time, when you have "2D shadows" selected in Custom Settings and not "3D shadows", it actually does the 3D ones and not the 2D ones. I've encountered this twice so far. Unnecessary lag for little gain when on a crap computer like my own. This plot issue happened on the Minas Morgul map. The second plot is actually floating quite high up. The AI didn't build on it the entire game. Isengard never builds uruk pikes.Even when you have a full army of cavalry,they just attack with crossbows. Alright sorry,maybe i was just playing on one of the custom maps. Well this is more a request but it's something that does "bug" me. Gollum needs to be rescaled he's huge compared to the dwarven units. The Steel Drawstrings upgrade has the same hotkey as the select-all-units-of-the-same-type hotkey, namely "E". It didn't matter that much, since I was going to buy it anyways, but it needs fixing, I guess. Gandalf can not be created in a skirmish if you have the power "Gandalf the White" before.